David Cameron should be given credit for making ‘dementia’ the topic for discussion of the G8 on 11th December 2013. But the event runs the risk of being a trade fair for the pharmaceutical industry, becoming increasingly desperate to prove their worth in dementia and society. However, it is widely acknowledged that cholinesterase inhibitors, drugs that boost levels of acetylcholine in the brain to improve attention and memory, have a modest effect if that in the majority of patients with early dementia of the Alzheimer type (‘dementia of the Alzheimer type’). There is no robust evidence that they slow down disease progression in humans from human studies of patients. Many senior academic experts feel conversely that there has been insufficient attention put into interventions that actually do help people to live well with DAT. Such interventions include improving the design of the home, design of the built environment (including signage and pavements), non-statutory advocacy, dementia-friendly communities, assistive technology and ambient living innovations. On Wednesday 4th December 2013, a ‘research summit’ was held for the press for “research into dementia”. The main focus of this research summit was how can one best predict who will get dementia or when, do we even know what causes dementia yet, what “cures” are there in the pipeline, what can be done to prevent dementia, what obstacles are pharmacological researchers facing, does Pharma have sufficient resources, and what needs to be done to make the Dementia Summit a success. The focus of this ‘summit’ into ‘research into dementia’ was not living well with dementia, which is a gobsmacking tragedy for all those involved in promoting living well with dementia. What is overwhelmingly absent is a ‘person centred approach’ which has been a major force for good in contemporary dementia care in England. The panel members, according to the brief, were: Dr Doug Brown, Director of Research and Development, Alzheimer’s Society; Prof Nick Fox, Professor of Neurology, MRC Senior Clinical Fellow, Institute of Neurology, University College London; Prof Simon Lovestone, Professor of Old Age Psychiatry, Director of NIHR Biomedical Research Centre for Mental Health at the South London and Maudsley NHS Trust and Institute of Psychiatry, King’s College London and Lead for the Translational Research Collaboration in Dementia (a network of 6 centres established by the NIHR); Prof Peter Passmore, Professor of Old Age Psychiatry, Queen’s College Belfast and Lead for Dementia for The British Geriatrics Society; and Dr Eric Karran, Director of Research, Alzheimer’s Research UK. “Nick Fox, professor of neurology and a Medical Research Council senior clinical fellow at the Institute of Neurology at University College London, said, “We should be asking the G8 collectively to double the research spending on dementia within five years. Brown said the aims of the research were to enable more accurate and timely diagnosis of dementia; to create disease modifying treatment to try to stop, slow, or reverse the condition; and to find drugs to treat the symptoms. Most importantly, he said, researchers needed to understand how dementia developed to enable the risk to be reduced and onset of dementia to be prevented or at the very least delayed. “If we could delay the onset by five years we could probably cut the numbers of [people with] dementia in half,” he said. Fox said that past trials of treatments had concentrated on people with symptoms of the disease, which was “like trialling chemotherapy when people are already in a hospice.” Now, he said, treatments were beginning to be tested in people who were at higher risk of dementia because they had a family history or other genetic risk factors or because scans had shown early features of the disease. Scans and other techniques could then be used to track the effects of treatment before symptoms appeared. “Only if we can identify people where we can see whether our therapies are having an effect will we ever make progress,” Fox said. Many thanks to @sam4wong for sharing this with us on Twitter this morning. Sadly, this representation of research for #G8dementia has taken on more of an appearance of a corporate international trade fair, which is a crying shame. This is, ironically, in the week that the World Trade Organization has apparently agreed its first-ever global deal aimed at boosting commerce. A trade fair (trade show, trade exhibition or expo) is an exhibition organised so that companies in a specific industry can showcase and demonstrate their latest products, service, study activities of rivals and examine recent market trends and opportunities. 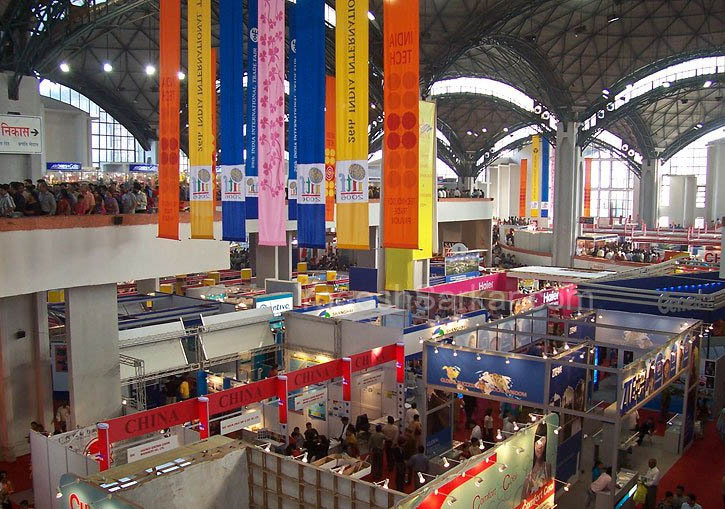 In contrast to consumer fairs, only some trade fairs are open to the public, while others can only be attended by company representatives (members of the trade, e.g. professionals) and members of the press, therefore trade shows are classified as either “Public” or “Trade Only”. However, the G8 next week would be at considerable risk of being hijacked by market forces, if it were not for the valiant efforts of the Department of Health and people who have devoted their lives to raising dementia awareness too. Trade fairs are helpful for marketing of products to a wider audience. James Murray-White (@sky_larking) is a film-maker, and campaigns perennially for raising dementia awareness. James announced yesterday that he was proud to be part of a central network of dementia ‘activists’ on Twitter, but had just reported on the same media network that he had recently been refused ‘press accreditation’ for #G8dementia. Earlier this year, filmmakers and scientists came together at this event to increase the public understanding of dementia. This event comprised series of short films about dementia, curated by Murray-White, will precede a discussion with researchers from the University of Bristol and other institutions supported by @AlzheimersBRACE, a local charity that funds research into Alzheimer’s disease and other forms of dementia. Panel speakers included: Professor Seth Love (Professor of Neuropathology); Laura Palmer (South West Dementia Brain Bank Manager); James Murray-White (filmmaker). Beth is one of the U.K.’s leading campaigners on dementia. Her experience of supporting her father, who was living with dementia, and her professional background, give her unparalleled insight into effective ways of campaigning for change, it is widely felt. There are people who are simply interested in individuals with people – the person not the drug. For example, Lucy Jane Masters (@lucyjmasters) is a dementia nurse specialist, advocating for change, an educator, and primarily passionate about that person with dementia and those who care for him or her. Alistair has for long time emphasised the importance of “a timely diagnosis”, rather than an “early diagnosis”. This is very much in keeping with the notion that the potential diagnosis should be offered at a time personally appropriate to any particular individual. Alistair also believes, in his rôle as part of NHS England, that there should be a reasonable level of “post-diagnosis support”. Academics generally agree that the tenure of Alistair as the National Lead for Dementia in England has been a very successful experience for all involved. There are few people as inspirational too as Norman McNamara, who has campaigned tirelessly to dissolve the stigma which can surround dementia. He can be very easily found on Twitter for example (@NormanMcNamara). McNamara has written poignantly about his own personal experiences of ‘living with dementia’. Sally (@nursemaiden) was a senior nurse, but likewise now promotes heavily wellbeing in dementia, with her father with dementia of the Alzheimer type having passed away on 1st September 2012. And it truly is an international ‘effort': Kate Swaffer (@KateSwaffer) in Australia – who has just met up with Gill Phillips who advocates ‘paths to personalisation’, has written brilliantly about her experiences of the dementia diagnosis. Indeed, it would not be hyperbolic to say that many people have given up much free time into the world of the dementias, as a vocation. Lee (@dragonmisery) has produced an incredible information provision website for carers of people with dementia, and this has advanced the policy plank promoting choice and control in wellbeing. Twitter has been particularly successful at giving people a voice at last. Charmaine Hardy (@charbhardy) is one of the most prominent members of this very close community. Her profile reveals that her husband, whom she adores, has a rare dementia known as primary progressive aphasia. Anyone following Charmaine knows exactly the emotional intensity of someone caring for somebody with dementia. Likewise, Thomas Whitelaw (@TommyNTour) has literally been ‘on tour’ talking with amazing authentic emotion, affectionately, about his mother, Joan Whitelaw, who had been living with dementia. So why such a focus on pharmacology? Why so little on ‘person centred care’? This glaring omission of person centred care in #G8 dementia apart from representations below is utterly embarrassing and humilating for the thousands of researchers and practitioners who work in this area. @MrDarrenGormley‘s award-winning blog is a most useful introduction to this area. And, although deeply enmeshed in the English health policy which has sometimes been far from controversy, the efforts of the Department of Health itself have been most impressive. Anna Hepburn (@AnnaHepburnDH) is Digital Communications Manager for Social Care at the Department of Health. Anna is well known to be genuinely interested in the views of people living with dementia, and those closest to them. The last one has been the most difficult for real experts in the research community with real knowledge of the problems facing international research. There has been much media interest in improving diagnosis rates in England, driven more by the dementia charities than public health physicians or GPs. Whilst undoubtedly a ‘cure’ for dementia would be wonderful, it is rarely reported that dementia rates are in fact considered to be dropping. Medical doctors such as Dr Peter Gordon (@PeterDLROW; a NHS Consultant Psychiatrist) and Dr Martin Brunet (@DocMartin68; a NHS General Practitioner) have been invaluable as “thought leaders” in forging ahead with an evidence-based approach to this complex issue, cutting through the media garb and spin (and promotional copy). You can follow live digital coverage of the G8 dementia summit on the Dementia Challenge site on 11 December 2013. Well done to all those involved, particularly the grassroots campaigners, Anna Hepburn, and the Department of Health!